The Sanger Learning Center (SLC) has received a $50,000 gift from the Kelso Foundation of San Antonio to support free tutoring. The gift follows a $25,000 donation from the Coates Foundation in spring 2018 when the SLC was first able to remove fees for one-on-one tutoring. Student demand has surged: last semester, appointments were up 36% over the previous spring. In the first four weeks of this semester, appointments were up 54% over the first four weeks of fall 2017. In the past, every student at UT Austin received 5-10 free tutoring sessions per semester. After exhausting their free appointments, students paid $14 per session. The fees were removed on a pilot basis in spring 2018. The latest gift will allow the pilot to be extended while SLC leadership searches for permanent funds. 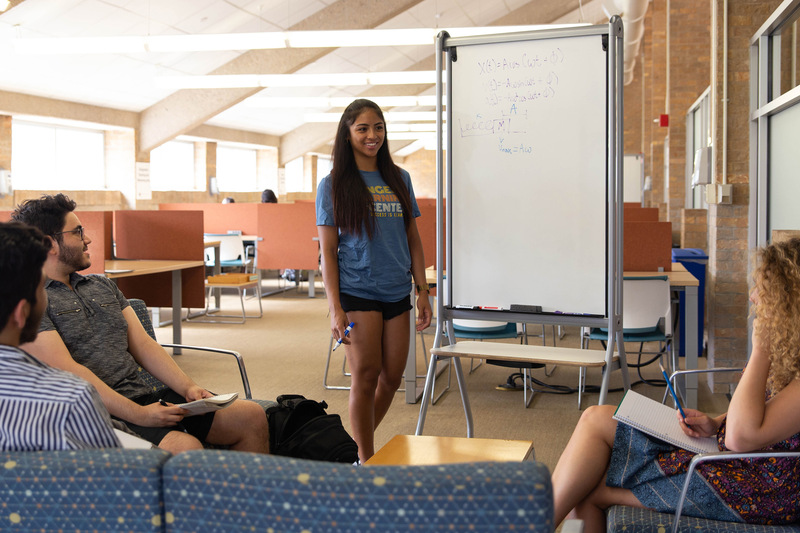 The SLC employs approximately 180 tutors who support students in more than 70 courses. Students can make appointments through MyUGS. The increased funding for free turtoring was also recently featured in The Daily Texan.